There's a brand-new wine bar and Italian spot in town. Located at 994 Columbus Ave. in the Upper West Side, the new arrival is called Ortomare Ristorante Pizzeria. Ortomare Ristorante Pizzeria has garnered rave reviews thus far, with a five-star rating out of two reviews on Yelp. Kathleen M., who was among the first Yelpers to review the new spot on March 3, wrote, "Two of us had the pizza and really enjoyed it. Next time I'm going to try to pasta, which looked very good." And Vahidin I. wrote, "I really liked everything. The appetizers of zucchini and artichoke and fettuccine with mushroom were great." Interested? Stop by to welcome the new business to the neighborhood. 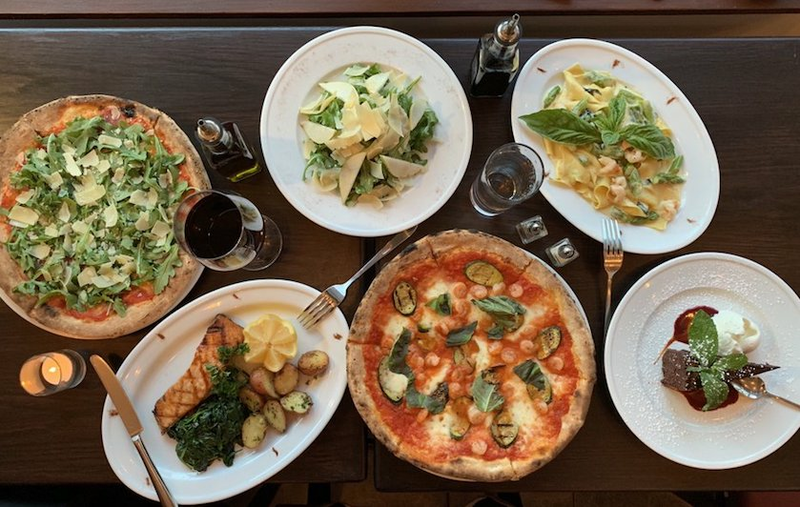 Ortomare Ristorante Pizzeria is open from noon-10 p.m. on Monday-Thursday, noon-10:30 p.m. on Friday, 11 a.m.-10:30 p.m. on Saturday and 11 a.m.-10 p.m. on Sunday.